With over 30 years of experience in the financial industry, Ben co-founded Private Capital Group in 2003 to better fulfill the needs of clients with a “Serve First” philosophy. 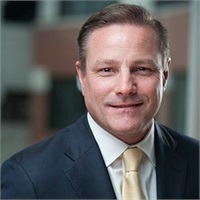 Ben worked as the Regional Director of Investments for CIGNA/Lincoln Financial Services from 1988 to 2003, gaining industry and practice knowledge from two leading financial institutions. He currently resides in Simsbury, CT with his wife and has four children.